Country Hearth Inn and Suites Piedmont offers the most value for your money when staying for business- pleasure- or just passing through. We offer clean spacious rooms- free continental breakfast- coffee/tea in lobby- and Wi-Fi throughout the hotel. All guest rooms include microwaves- mini-fridges- hairdryers- coffeemakers- and cable TV. Take advantage of our extremely comfortable beds and relax while saving money year-round with our Kids Stay Free Policy *10 and under in parent*s room*. For those guests that are in town on longer term corporate assignments or business trips we also offer special weekly and monthly rates- as well as direct billing options. For your convenience our hotel offers both smoking and non-smoking rooms. 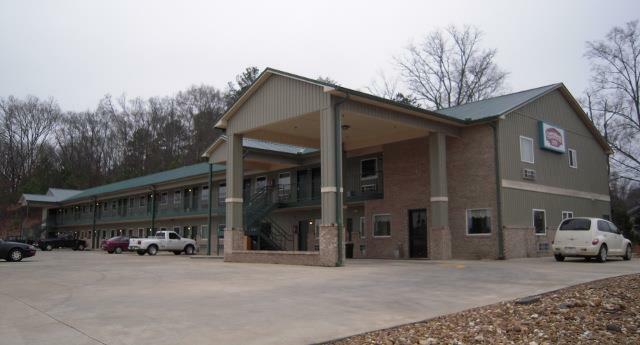 We are centrally located near attractions such as the Piedmont Museum- Talladega Speedway- the Fort McClellan- and the Berman Museum. We are just off of Haslam Street. At Country Hearth Inn and Suite Piedmont- Expect More. Get More. A church wedged into a huge sandstone boulder, which serves as a backdrop for its pulpit. Built in 1937 by an obscure former Hollywood lead man and candidate for U.S. President.